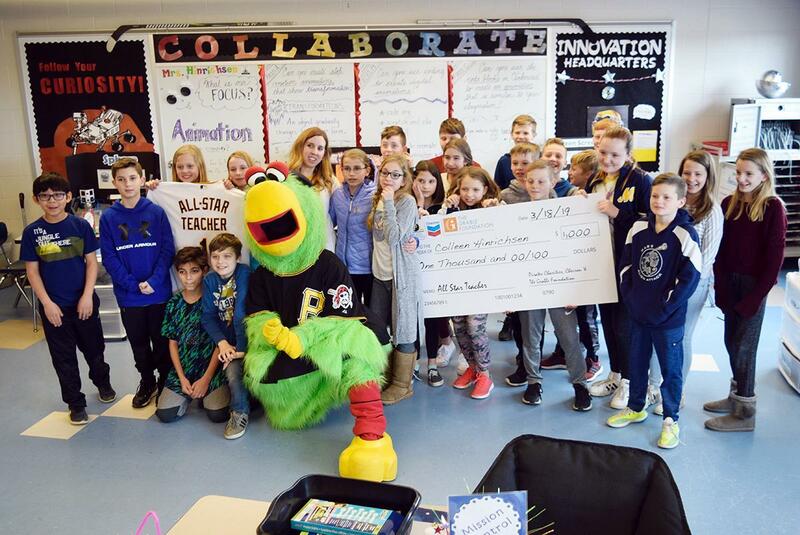 Mars Area teacher Colleen Hinrichsen was named an “All Star Teacher” by the Pirates and Pirates Charities, which has teamed up with Chevron and The Grable Foundation, to honor exceptional local educators. “We are honoring all-star teachers in our region. We are trying to find the best of the best, the ones that go above and beyond,” said Joseph Klimchak, Pittsburgh Pirates In-Game Host, who along with members of the Bucco Brigade and Lee Ann Wainwright of the Chevron STEM Investment Team, surprised Hinrichsen with the honor on March 18. Hinrichsen is a STEAM (Science, Technology, Engineering, Arts, Mathematics) teacher at Mars Area Elementary School (Grades 2-4) and at Mars Area Centennial School (5-6). 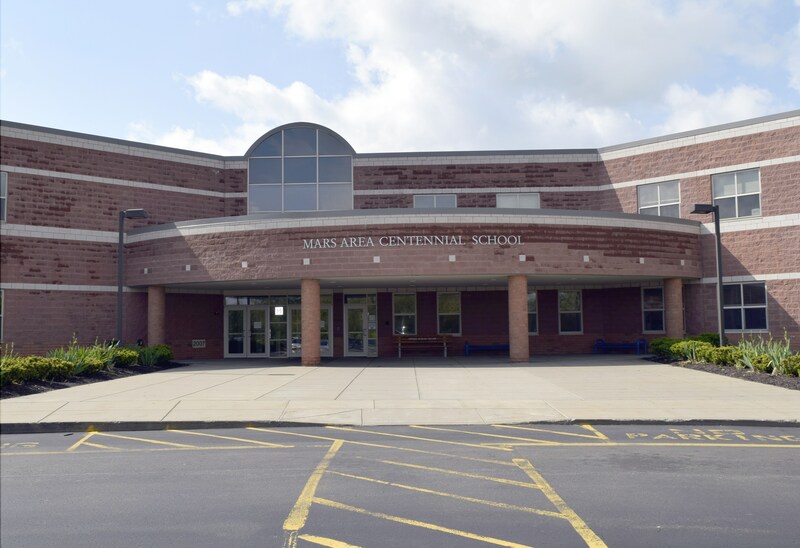 In 2005, she joined Mars Area School District in 2005 as a first grade teacher at Mars Area Primary Center, before moving to third grade at Mars Area Elementary School. 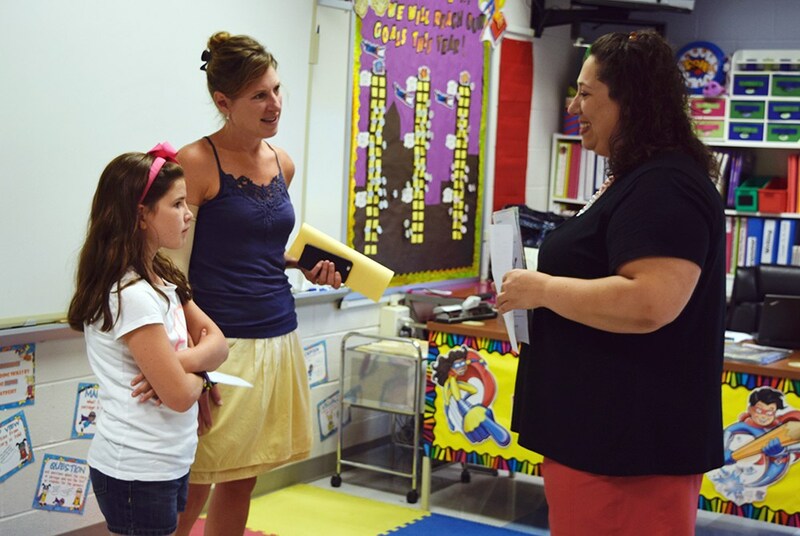 In 2015, she became one of five District-level ITC (Instruction Technology Coaches) and in 2017 accepted her current position as a STEAM teacher. 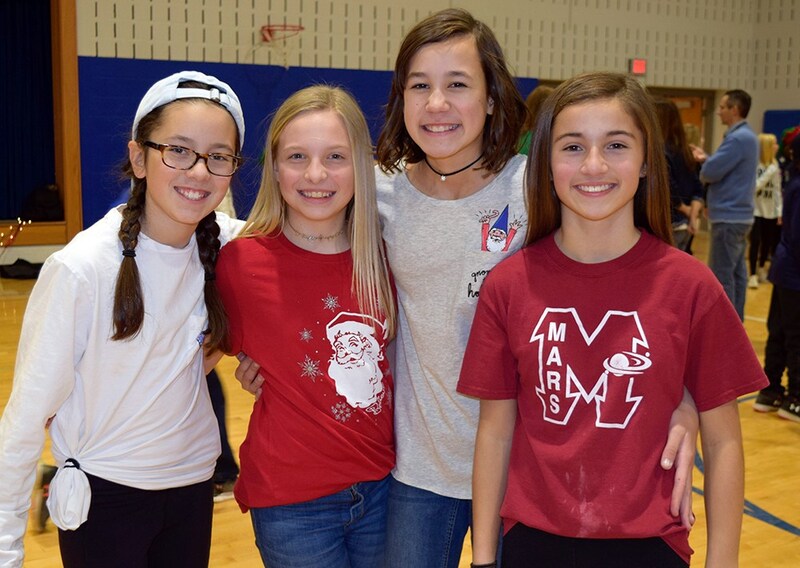 In Mars Area’s STEAM classrooms, Mars Area Elementary School students analyze the functions of innovative tools and the tinkering process; use digital tools to design multimedia-embedded projects; and investigate problem-solving methods through research and development. At Mars Area Centennial School, students apply what they have learned to design and produce original inventions with immersive media. 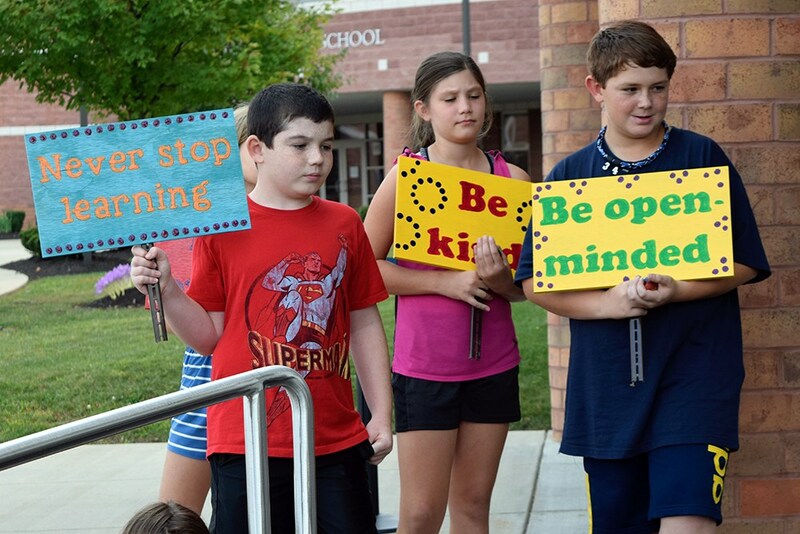 In Hinrichsen’s STEAM classes, she encourages innovation through the use of green-screen and stop-motion video production; computer coding and engineering design modules offered through online software applications; and the integration of new technologies such as iPads, 3-D printers and pens, Cubelets robot blocks, Sphero robots, Makey Makey kits and more. Hinrichsen also serves as an Instructional Technology Coordinator (ITC) at Mars Area Centennial School. As an ITC, she offers individualized training for teachers on integrating technology tools in their classrooms. In addition, Hinrichsen volunteers as the advisor for a before-school “Project LITE (Ladies Innovating with Technology & Engineering)” Club, which she established at Mars Area Centennial School. The club is open to sixth grade girls interested in STEM-related careers. “I am very passionate about getting more girls interested in STEM careers as well as helping them with the tough transition from elementary to secondary,” says Hinrichsen, who has shared her knowledge and teaching experiences at conferences offered by the Pennsylvania Department of Education, The SAS Institute, the International Society for Technology in Education (ISTE) as well as at the Three Rivers Educational Technology Conference (TRETC). In 2018, Hinrichsen was one of two teachers from the Pittsburgh area selected to attend Space Camp for Educators at the U.S. Space and Rocket Center (Huntsville, Ala.). At the camp, she learned about space and aviation history, complete simulated space missions, and joined in authentic astronaut training activities. For WTEA Action News’ interview with Hinrichsen regarding her Space Camp experience, visit https://www.wtae.com/article/two-local-teachers-chosen-for-out-of-this-world-opportunity-to-attend-space-camp/22119020. Hinrichsen has also connected her students with engineers at the NASA Jet Propulsion Laboratory via Skype to learn more about the future of space exploration. And she is planning many space-themed activities as Mars Borough’s celebration (May 31-June 2) of the Mars New Year approaches. In addition to being name an “All-Star Teacher,” Hinrichsen received a $1,000 grant to benefit her STEAM classrooms, a $100 gift card, a treasure box of Pirates merchandise, a personalized Pirates team jersey and tickets to the Pittsburgh Pirates home game against the Los Angeles Dodgers at 1:35 p.m. on Sunday, May 24, where she will be honored on the field at PNC Park. She will also be recognized on the video board during an in-game celebration, in the Pirates First Pitch magazine and on Pirates social media. For more information, visit http://pirates.com/allstarteachers.